UEA-6 is made by clinkers mainly featuring moisture-free C4A3S together with natural gypsum through distinctive grinding techniques. It has low potassium and sodium content, little effect on concrete strength and short-term expansion settlement. UEA-6 is specially formulated to deal with shrinkage and segregation that appears at early age and results from hydration heat at middle age. Thus it’s most applicable in underground, hydraulic, harbor and tunnel projects where ambient temperature is comparatively stable. 1. Subway, tunnel, civil air defense construction, underground water proof and crack resistance layer of skyscrapers. 2. anti-seepage grout layer, damp-proof grout layer. 3. Joints in framework, pressure pipe of pre-stressed reinforced concrete at mild ambient temperature. 4. Anchoring of bolts at foot of mechanical equipment, non-shrinkage grouting of interspace between equipment seat and concrete base. 2. Low alkali content and no corrosion to steel bars. 3. Short-term expansion persistance. No apparent expansion after 14 days and no effect on late-age strength. High expansion ability and targeted expansion effect achieved at standard dosage. 1. Recommended dosage is 6.0% by weight of cement. It’s normally applied in Portland and ordinary cement. Compatibility test is prerequisite when mixing it with cement of other types. 2. Mechanical agitation of more than 3 minutes is recommended. 3. Expansion concrete can’t be applied in project where ambient temperature stays over 80℃ for long period. When ambient temperature is below 5℃, please take mildly heating measures. 4. Cement used should have a strength grade higher than 32.5. Minimum cement consumption is 300kg/ m3. 5. Curing: Mold release time should be not less than 7 days and curing 14 days. In winter, after concrete rendering and casting, cover it with plastic membrane and heat insulation materials and cure for 14 days at least. For application in walls, curing with mold on should be 14 days at least. To achieve targeted impermeability and crack resistance, following steps should be strictly adhered to. 1. Correct mix design. Expansion agent addition rate should make sure sufficient expansion-restriction. 2. Steel bars should be used where necessary. 3. Strict operation administration. Properly prolong agitation time and make sure sufficient compactness. Water should be abundant for curing. 1. It’s packed in moisture proof bag, 50kg/bag. 2. Cautions should be taken to avoid damp contamination during storage and handling. Do not put it together with cement. 3. Its shelf life is 12 months. 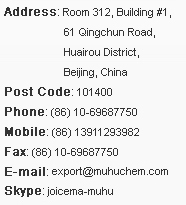 Copyright 2013 | MUHU (China) Construction Materials Co., Ltd. All rights reserved.